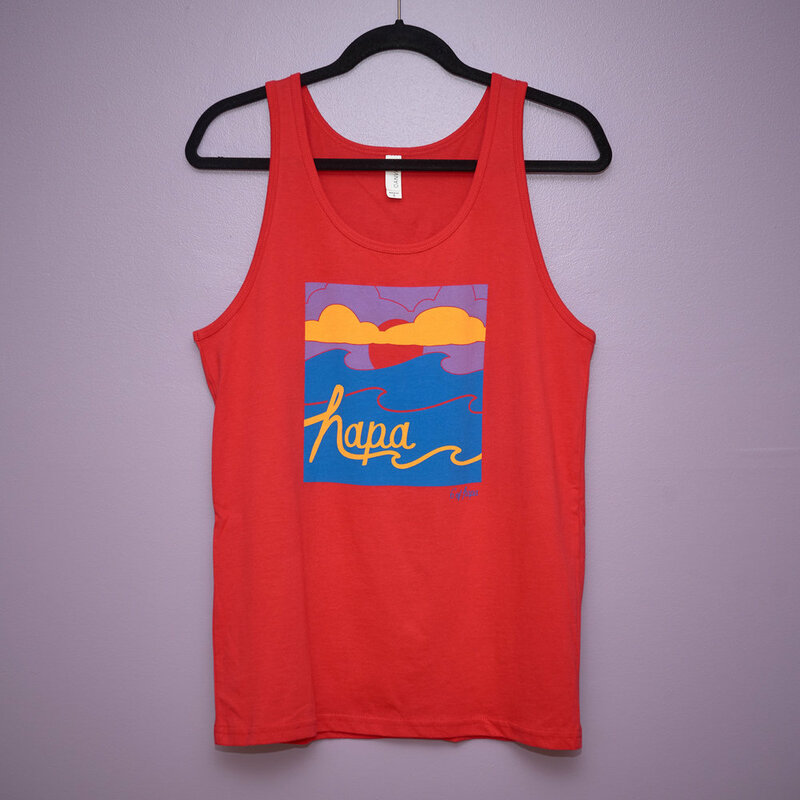 This holiday season, why not support some Hapas and Quapa artists? Welcome to Hapa Mag’s Virtual Holiday Market, a place where you can check out the wares of some of our favorite mixed-race Asian artists. I'm a mixed Japanese American! I like to say that I create wearable art. 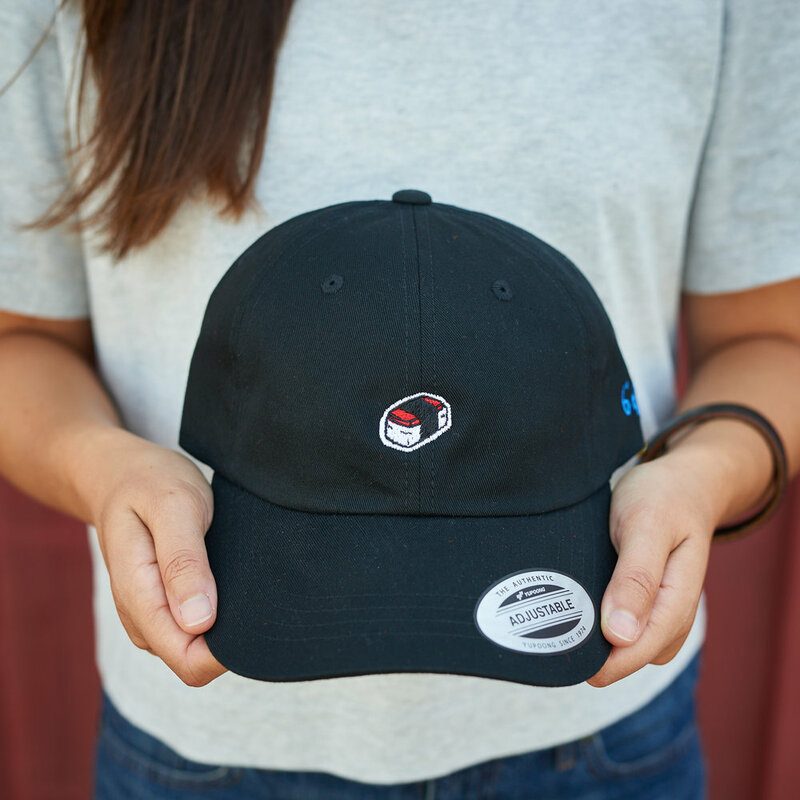 At first glance, a hat, tee, or dress might not seem like art, but the amount of creative effort and design that goes into each piece is not just one form of art, but many. I start each piece with a hand-drawn concept illustration and then typically re-create it digitally by drawing with vectors in Adobe Illustrator. I then create my physical apparel through processes including textile/pattern design paired with hand-sewn work, screen printing, and embroidery! I'm very careful to take into account how each of my pieces will fit, feel, and last, so I create my own clothing patterns for my hand-sewn apparel and select my material and clothing (if it's going to be screen printed or embroidered) myself. 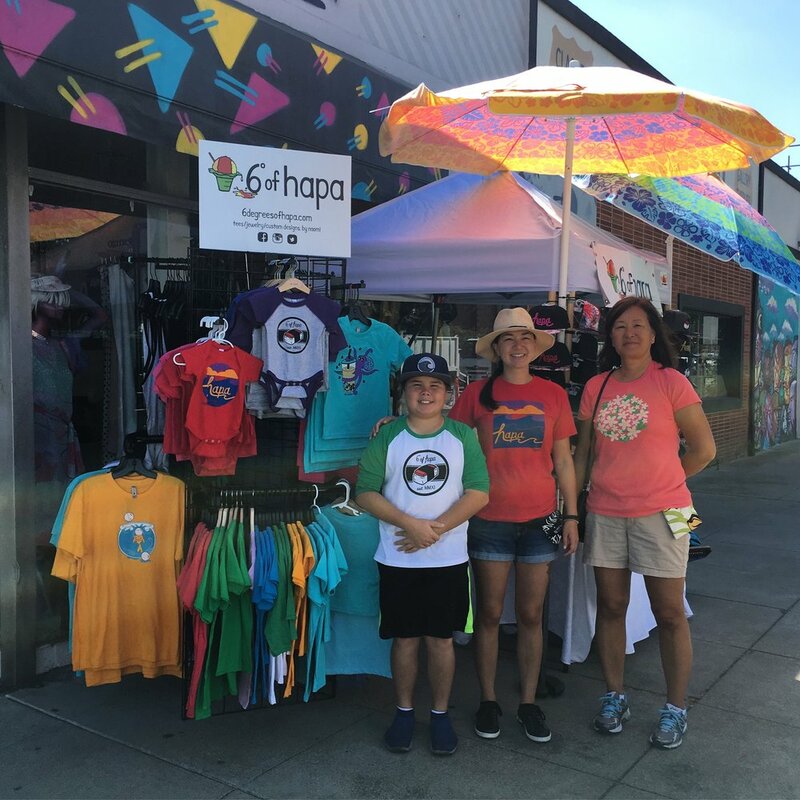 All of the art I create for my business, 6 Degrees of Hapa, is inspired by my mixed identity and family. 6 Degrees of Hapa is my way of contributing to, and supporting, the growing and changing Hapa community. My art and business are a celebration of mixed cultures and our connections: our friends and family who have helped make us the individuals we are today. 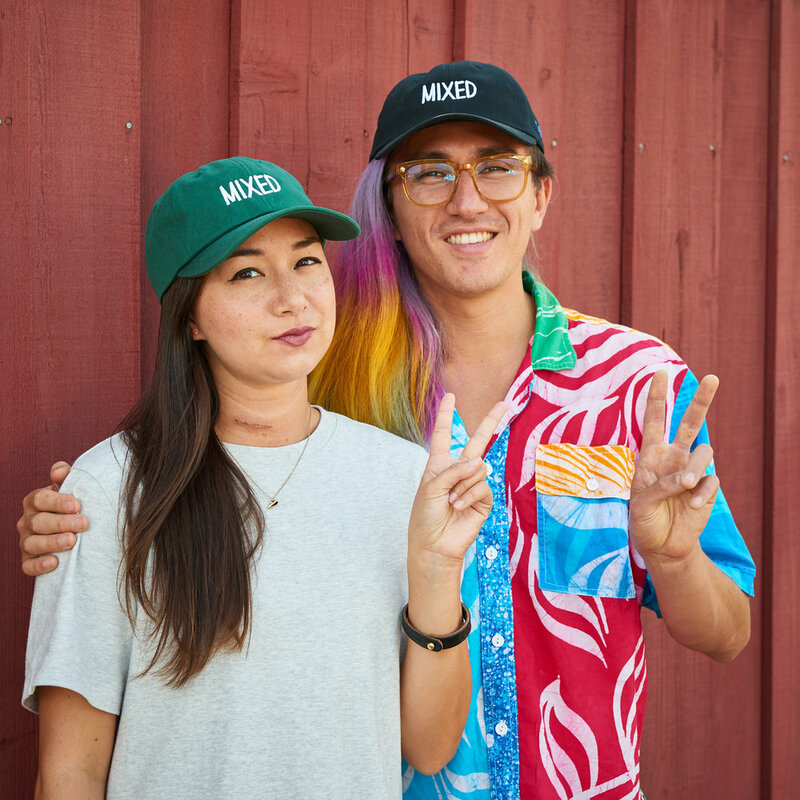 You don’t have to be mixed/Hapa to wear my apparel line and one of my goals has been to create clothing to dress the whole family, from tots to grandmas and grandpas. The happiest moments for me at my pop-up shops are when I’m able to make people smile (and even laugh) with my wearable art. As a Hapa, I've had many experiences where I've been made to feel like I don't belong, and because of this, inclusion is a huge part of my personal philosophy and I’ve tried my best to incorporate this into 6 Degrees of Hapa’s philosophy as well. How long have you been an artist/crafter/creator? To be honest, I've been creating since I was very little. Whether it's through art, writing, or performance/film, I have always been passionate about expressing myself and using my creations as a way to further understand myself and my identity. I'm very fortunate that within the past seven years of founding 6 Degrees of Hapa, I've been able to use my art as a way for people who are mixed/Hapa to express pride in their identities. What's your favorite gift you've ever received or given? My parents gave me a 15" Cricket Loom (a rigid heddle weaving loom) for Christmas while I was in school, and I've used it to weave some pretty rad plaid scarves for my family and friends. I was even able to recreate my partner's family tartan pattern using my loom. So this little loom has worked out as a favorite gift I've received and helped me to create some of my favorite gifts I've given! My grandma has never been the patient type and loves opening presents, so we always celebrate Christmas on Christmas Eve instead of waiting until Christmas Day! She has also passed down New Year's traditions, like eating soba and mochi for good luck, to my mom, who has passed it on to me and my sibling. Even if we aren't all together for New Year's, my mom still makes sure my sibling and I both have the essentials to make and share with our friends. I love to create art that makes people smile and maybe even feel a little nostalgic. It's hard to pick favorites, but it would have to be my Kokeshi Doll pattern, which is based off of three kokeshi dolls that have been in my grandma's house since before I was even born, and my Musubi illustrations, which make everyone happy because (let's be honest) everyone loves sporting one of their favorite foods on their tees or hats. You can find my work at 6degreesofhapa.com and if you're ever in the Bay Area, you can usually find me at Japanese and Hawaiian festivals/craft fairs!